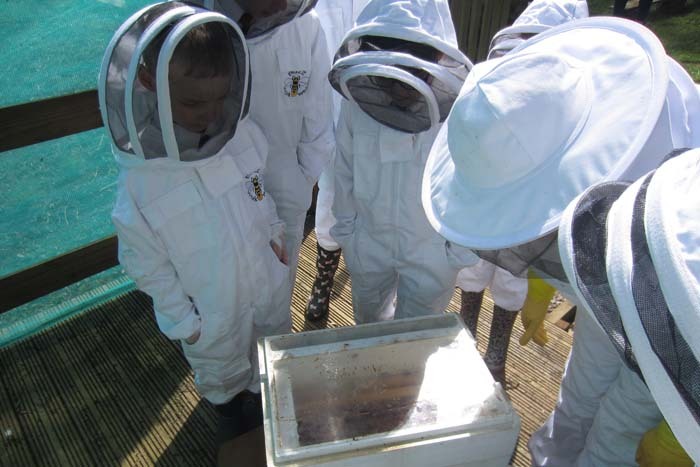 Spring has officially arrived and there was a buzz of excited children in the air at the first bee keeping club last week at Badgemore School. The bees arrived at Badgemore School last autumn and it was a particularly challenging winter. Unfortunately, one of family of bees did not survive but the children were delighted to find the others had prospered when they checked on them. 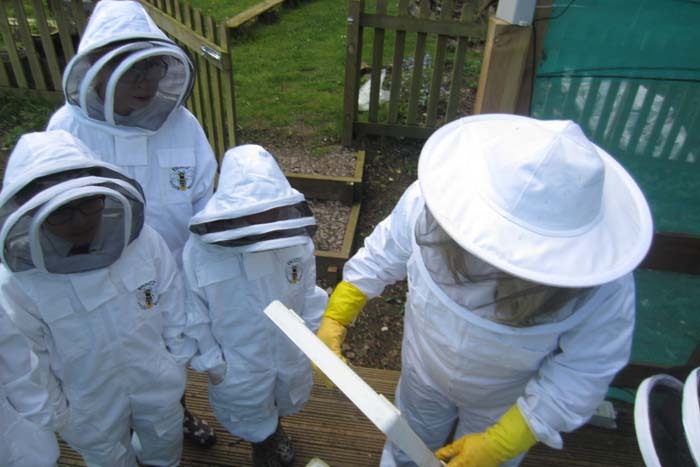 The children kitted up in astronaut-like suits to went to inspect the hive and reported that the bees were busy, but calm. James exclaimed “I could see the pollen on some of the legs,” as one landed on his suit. Thamesfield Youth Association Trust helped the club by donating funds last year to buy an Arnia Beehive monitor which provides real-time measurements of e.g. temperature, humidity, sound and weight and a work shed for honey harvesting and beekeeping equipment.